Why Do I Want Quality Deck Design? What is the Importance of Quality Deck Design? A well-built deck provides a premium outdoor space where the whole family can relax and spend quality time together. A badly built deck, on the other hand, is a risk to the family as it could collapse and cause injuries. 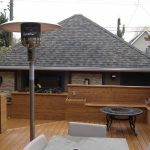 Quality deck design is the only sure way of guaranteeing a deck that will last and gives excellent service in its lifetime. Why do you need quality deck design? Getting the perfect outdoor space involves more than using quality materials. It starts at the design stage. How big is the deck? What is its level from the ground? How well is it protected from wind and harsh sunlight? Will the porch be screened or open? Good deck design involves taking into account size, aesthetics, and building materials. The deck must fit into the style of the house. The deck’s design will enable you to plan appropriately. This starts with knowing what you need the deck for, including the location/orientation of the deck. It also allows proper utilization of the available space. A properly designed deck will be adequate for furniture pieces without crowding. Proper design recognizes the limitations of the available space and adjusts accordingly. A deck should be an extension of the house. The quality design ensures there is a smooth transition from the deck into the house without a visible break in the style. Good styling involves using color, form, and space in coming out with a proper product. With good design, it is possible to decide on the building material that fits the design. It is hard to apply proper costing for the project if you don’t have the basis for quantifying the building materials. With a quality design, it is possible to do accurate estimates of quantity and hence the costs involved in the project. Good bills of quantities will also enable you to make a choice on the building material. Comparison of costs can help you determine if traditional hardwood is appropriate, or to go with composite materials. The design of the deck will also determine maintenance costs in the future, and as maintenance costs for wood and composite differ, it will help you make a decision based on costs. 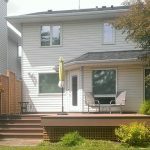 Good quality deck designing is the beginning of having an outdoor space that you can be proud of. It is a crucial step as a badly designed deck can actually cost you money if it needs to be redone. With a well-designed deck, you are assured of a beautiful, affordable space outdoors. 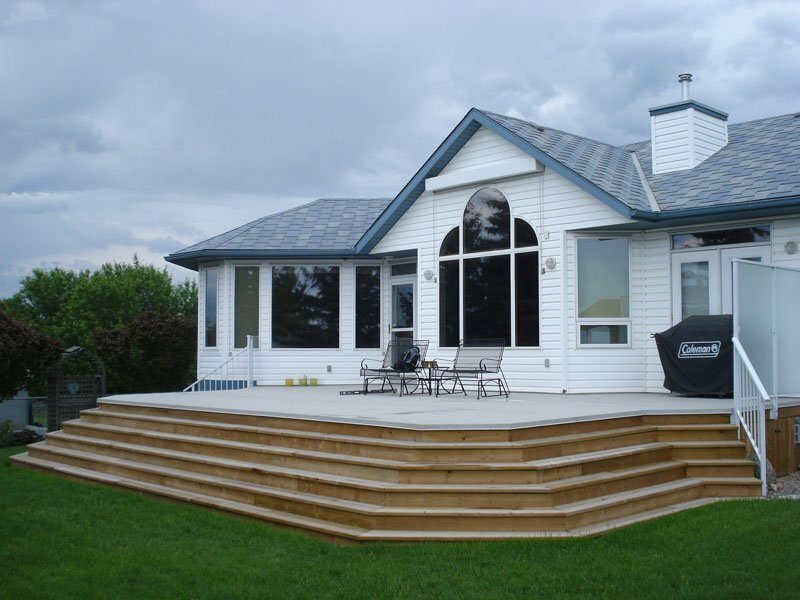 Mountian View Sundecks has been providing professional deck designs for the Calgary area for over 20 years. Contact us regarding any of your deck design questions today. We also design custom railings, gates, and more!